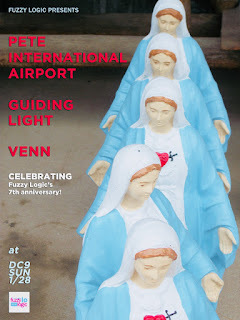 The first victims of this experiment are the three fantastic bands playing the Fuzzy Logic 7th Anniversary Show, happening THIS SUNDAY at DC9. If you're in town, you should be there. We begin with locals Venn, who boldly proclaim themselves to be the loudest band in DC. To find out if this is more than just cocky bravado, come see for yourself on Sunday night. Answers courtesy Jon Fetahaj and Gabe Earle. Venn: Regarding Venn at least, we really enjoyed releasing the EP at the end of February. It was the first thing we released, so we had no expectations, but as the day went on we got much more traffic than we imagined. Venn: Too many to name! As for things in our realm, we really like Ringo Deathstarr, The Drums, and a band from Spain we played with called Mourn. But we also love all kinds of music and car rides are spent listening to all kinds of things. Maybe some Yung Lean, a little bit of Kanye, Bob Dylan, James Blake, CLOUD NOTHINGS. Venn: I don't think we have a singular message to communicate that is the function of our music, but we support individualism fairly heavily. Our song lyrics aren't really message-oriented, however. They definitely take on more of the role of setting the stage or the feeling that the particular track is supposed to convey. Maybe our message would be the emotions that you feel when you hear our music in that case. Venn: We would love to make it to California. The weather, and the music coming from the west coast is really cool. Venn: I think anyone who releases their original music is doing something new. Genres only mean so much - they're definitely convenient for talking about music and finding new music. But if you're making music that you really enjoy and care about, it comes from you exclusively so it's gonna be unique. I guess trend-setting is just for those cases where your music resonates so much with people that it becomes a part of their inspiration if they go to make music. Venn: Julian uses a red SG for the *dut dut dut*, and Jon has a J Mascis Jazzmaster for the VREEEOWWWW. Most importantly Holden has a Mustang bass which is exclusively referred to by her name, Musty. We covered all our guitars in fake flowers and shiny bits for when we're on stage! Venn: No! We wouldn't know what to tell them, unfortunately. Venn: We prefer for them to do what they enjoy most whether that's dancing or just chilling out. If they come out to our shows we're already sold that they're amazing people! Maybe we don't prefer any acts of hate or violence though. Venn: Desperately and completely non-methodically. Venn: Are you guys together? Venn: Well, live at least, we are really really loud. Is that the name of a sound, "loud?" In the studio, we just strive for making something that's cool and does a nice job of conveying a feeling. 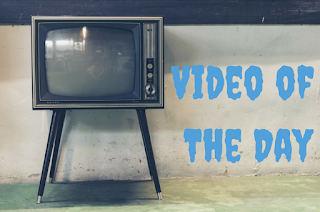 We really just stumble around with the effects and production to make that happen. Venn: Hmmm.... Nothing comes to mind. Venn: We hope to one day place an order for deluxe multi-tiered sushi love-boat at one of our favorite sushi places. We want it to be so big they have to bring over more tables to accommodate it. In terms of sushi boats, we're seeking the sushi aircraft carrier. Venn: Listen to Venn music! Venn: Maybe the noise and feedback at the end of our sets? Venn: We're musicians! We all love playing our instruments. I guess people just find musicians being musicians entertaining, which explains the history of live music. We definitely do some things live to make our show visually cool in addition to just us doing our music thing. If you've been to any of our shows you probably remember Jon beating his guitar up. There've been times when we get a little carried away with the ending, but surprisingly Jon's Jazzmaster has survived every single drop and slam he's put it through so far.